My first book event in the US was at the Woodbridge Library in New Jersey. Every year the library has an Author’s Day when they invite several writers and librarians from the region to come. The librarians get to see the writers’ new work. We all get to meet each other and new books are brought back to libraries. The event went really well. I did a presentation of my book Dear Primo. 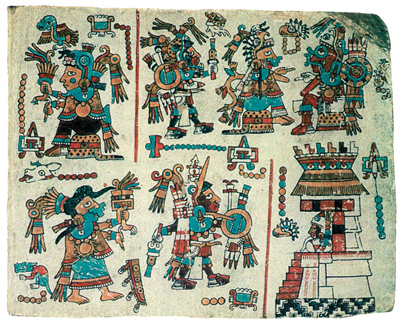 The librarians there specially liked the artwork of the book and where able to further appreciate it because I showed some slides of the Pre-Columbian and Mixteco art that inspires my illustrations. The copies of my book at the event sold out, and I signed a lot of books. It was very rewarding. There were other authors at the event. I specially liked meeting Amy Ignatow. She is a fellow author-illustrator. 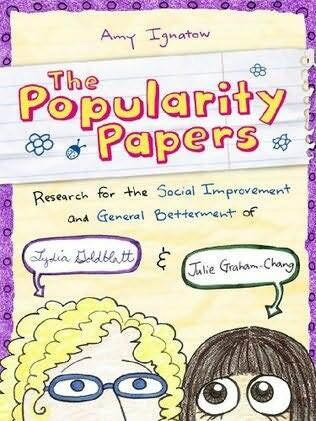 Her book is called The Popularity Papers. It’s super-entertaining and I highly recommend it. It’s published by Abrams also. The only dark side to the visit was that I learned from librarians in Woodbridge that up to 70% of the New Jersey public library budgets are being cut. Unfortunately this is the case in many other states. You can visit http://www.ilovelibraries.org/ to get involved and sign a petition to stop these cuts. I have some new events coming up. I will be at the Book Expo in the Javit Center in New York City on May 25th. I will be at Books of Wonder in Manhattan on June 5th and I will be at the American Library Association conference in DC on June 27th and 28th. I’ll put more info about these events in my facebook and twitter accounts as the dates approach. You are currently browsing the archives for the Popularity Papers category.